It does not always take a huge accelerator to do particle physics: First results from a low energy, table top alterative takes validity of Newtonian gravity down by five orders of magnitude and narrows the potential properties of the forces and particles that may exist beyond it by more than one hundred thousand times. 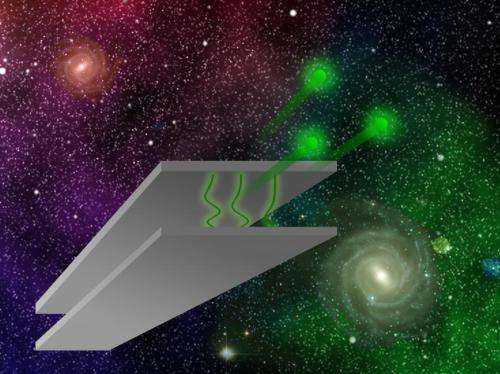 Gravity resonance spectroscopy, a method developed at the Vienna University of Technology, is so sensitive that it can now be used to search for Dark Matter and Dark Energy. All the particles we know to exist make up only about five per cent of the mass and energy of the universe. The rest – "Dark Matter" and "Dark Energy" – remains mysterious. 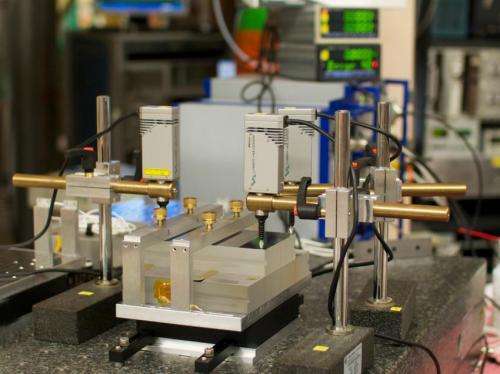 A European collaboration lled by researchers from the Vienna University of Technology has now carried out extremely sensitive measurements of gravitational effects at very small distances at the Institut Laue-Langevin (ILL) in Grenoble. These experiments provide limits for possible new particles or fundamental forces, which are a hundred thousand times more restrictive than previous estimations. Dark matter is invisible, but it acts on matter by its gravitational pull, influencing the rotation of galaxies. Dark energy, on the other hand, is responsible for the accelerated expansion of the universe. It can be described by introducing a new physical quantity - Albert Einstein's Cosmological Constant. Alternatively, so-called quintessence theories have been put forward: "Perhaps empty space is not completely empty after all, but permeated by an unknown field, similar to the Higgs-field", says Professor Hartmut Abele (TU Vienna), director of the Atominstitut and group leader of the research group. These theories are named after Aristotle's "quintessence" – a hypothetical fifth element, in addition to the four classical elements of ancient Greek philosophy. "This work is an important step towards modelling gravitational interactions at very short distances. The ultracold neutrons produced at ILL together with the measurement devices from Vienna are the best tool in the world for studying the predicted tiny deviations from pure Newtonian gravity", says Peter Geltenbort (ILL Grenoble). Different parameters determine the level of precision required to find such tiny deviations – for instance the coupling strength between hypothetical new fields and the matter we know. Certain parameter ranges for the coupling strength of quintessence particles or forces have already been excluded following other high-precision measurements. But all previous experiments still left a large parameter space in which new physical non-Newtonian phenomena could be hidden. 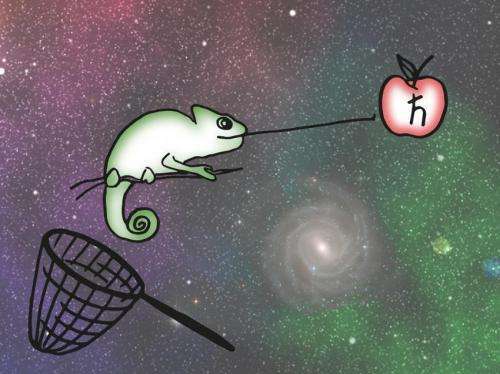 The new neutron method can test theories in this parameter range: "We have not yet detected any deviations from the well-established Newtonian law of gravity", says Hartmut Abele. "Therefore, we can exclude a broad range of parameters." The measurements determine a new limit for the coupling strength, which is lower than the limits established by other methods by a factor of a hundred thousand. Even if the existence of certain hypothetical quintessence particles is disproved by these measurements, the search will continue as it is possible that new physics can still be found below this improved level of accuracy. Therefore, Gravity Resonance Spectroscopy will need to be improved further - and increasing the accuracy by another few orders of magnitude seems feasible to the Abele's team. However, if even that does not yield any evidence of deviations from known forces, Albert Einstein would win yet another victory: his cosmological constant would then appear more and more plausible.